NEW YORK—With the Republican convention wrapping up last week and the Democratic convention underway, the U.S. presidential race is in full swing. 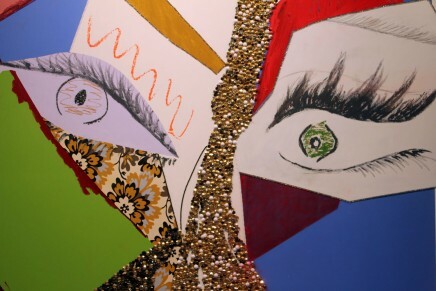 The partisan gatherings got Arts Observer thinking about art and politics. 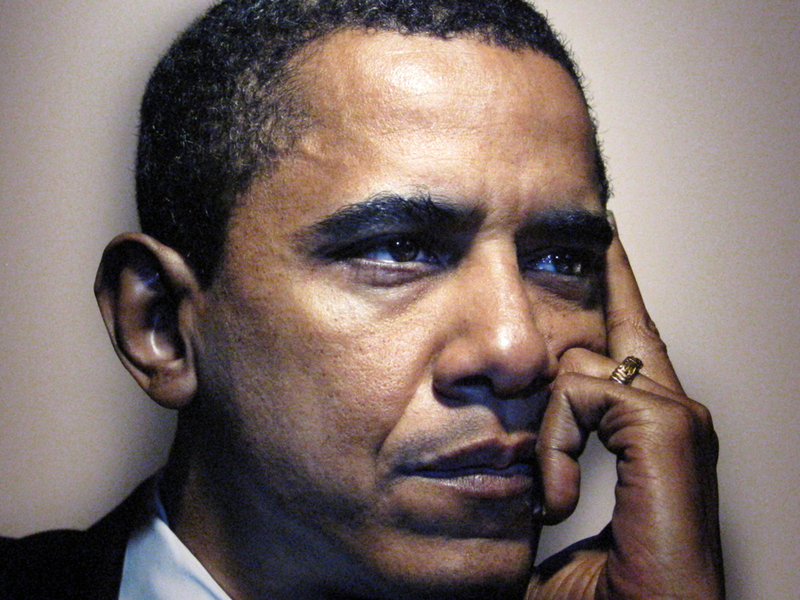 In 2008, the Obama campaign made unprecedented strides promoting its message and candidate through visual art (recall the Shepard Fairey “Hope” and “Change” posters) and collaborations with several other artists that helped amplify fundraising. 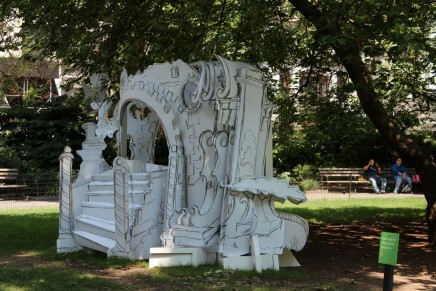 The Huffington Post recently reported on whether any similar artist projects were planned for this year. 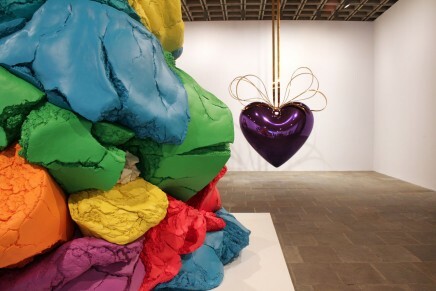 While the artists surveyed continue to support President Obama, they say the campaign has not made any overtures to reboot the art for Obama efforts. Over the past few months (and years), Arts Observer has spotted portraits of political and presidential figures past and present in museums and galleries. The following is a survey of the works. 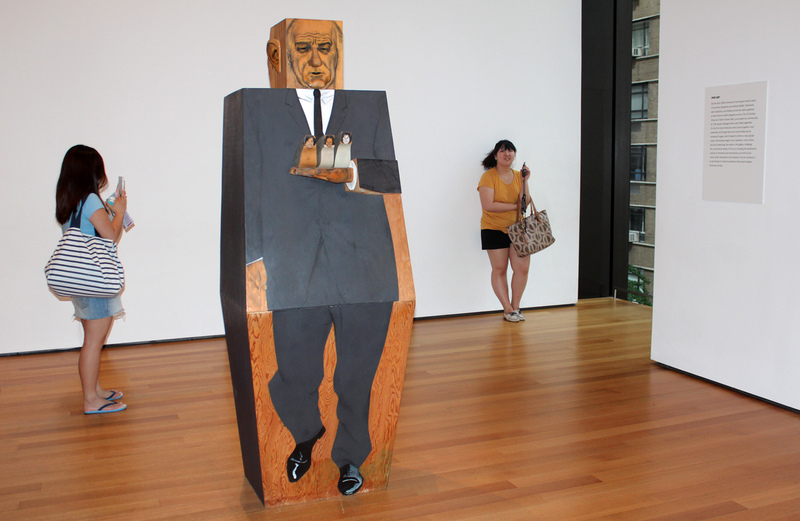 Above, “LBJ,” 1967 (synthetic polymer paint and pencil on wood) by Marisol Escobar on view at the Museum of Modern Art (MoMA) where it is a part of the permanent collection. 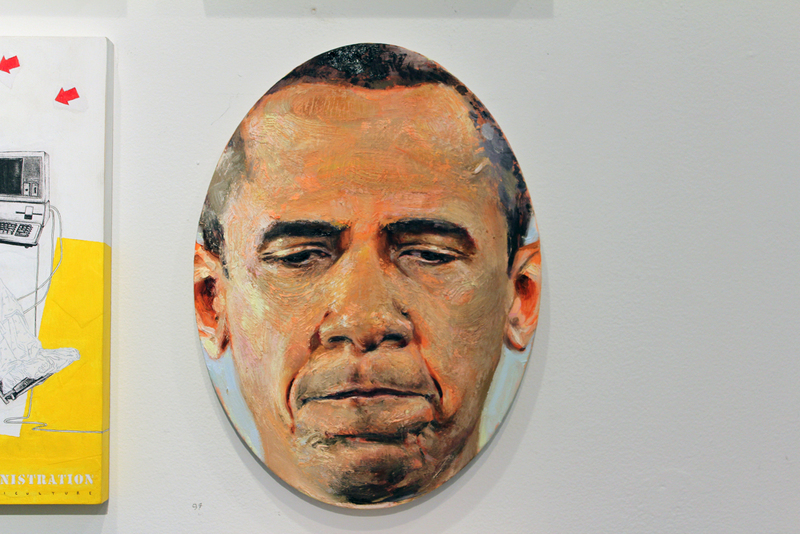 Top of page, Portrait of President Obama by Robin Williams on view at the “Permanent Collection” exhibit Nancy Margolis Gallery, August 2012. 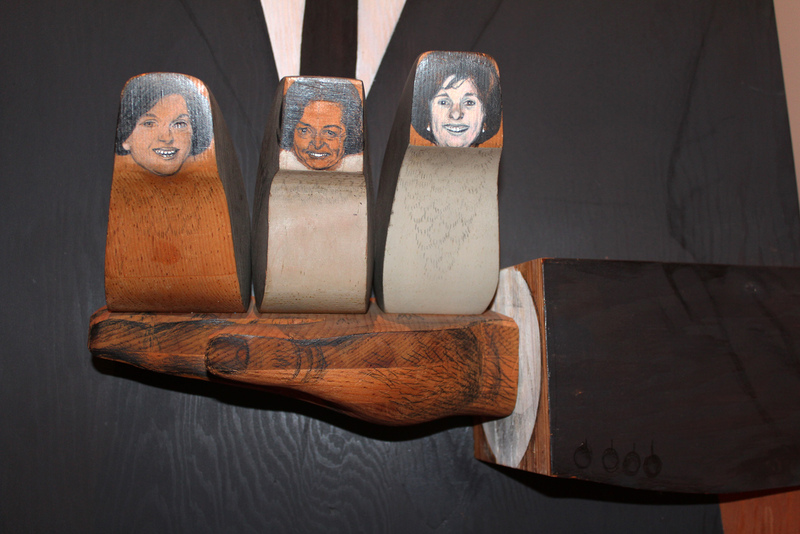 Detail of “LBJ” by Marisol Escobar at MoMA was the inspiration for Brenda Garand’s portraits of Mrs. Obama and her daughters, shown below. 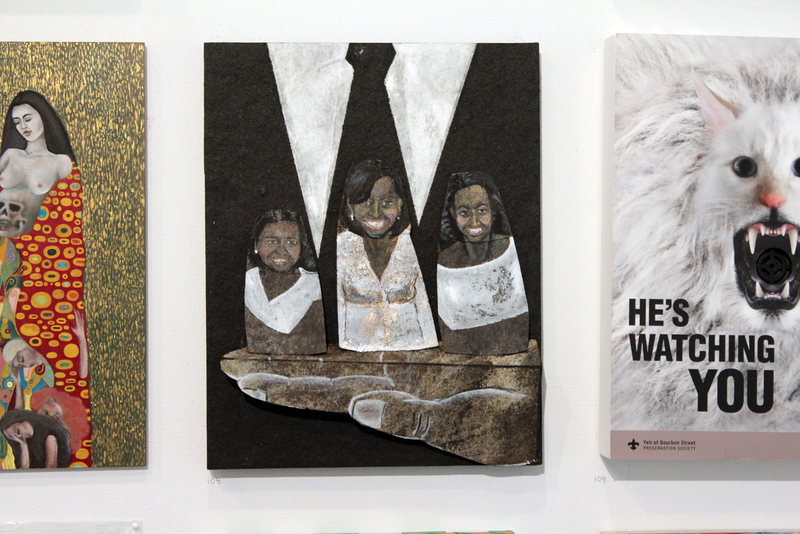 Center, Portraits of First Lady Michelle Obama with daughters Malia and Sasha by Brenda Garand (an interpretation of “LBJ” by Marisol Escobar) on view at the “Permanent Collection” exhibit at Nancy Margolis Gallery. 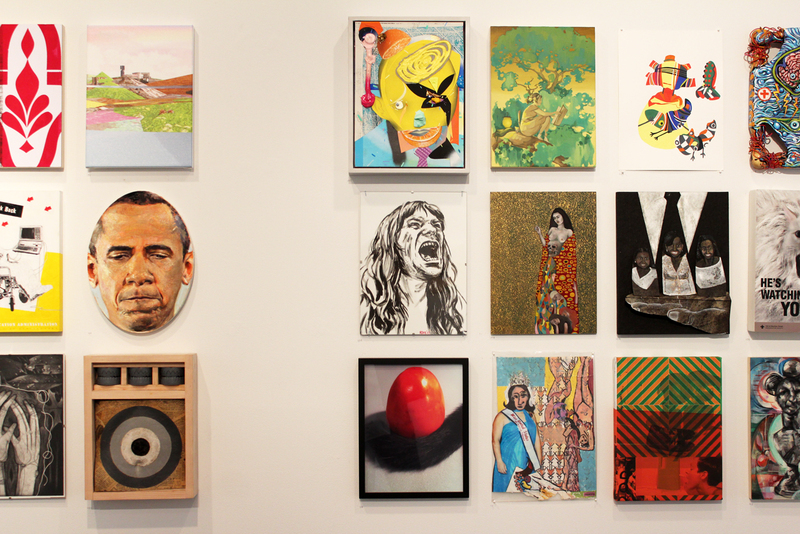 Installation view at Nancy Margolis Gallery shows portraits of President Obama at left and an image of First Lady Michelle Obama with daughters, middle row at right. 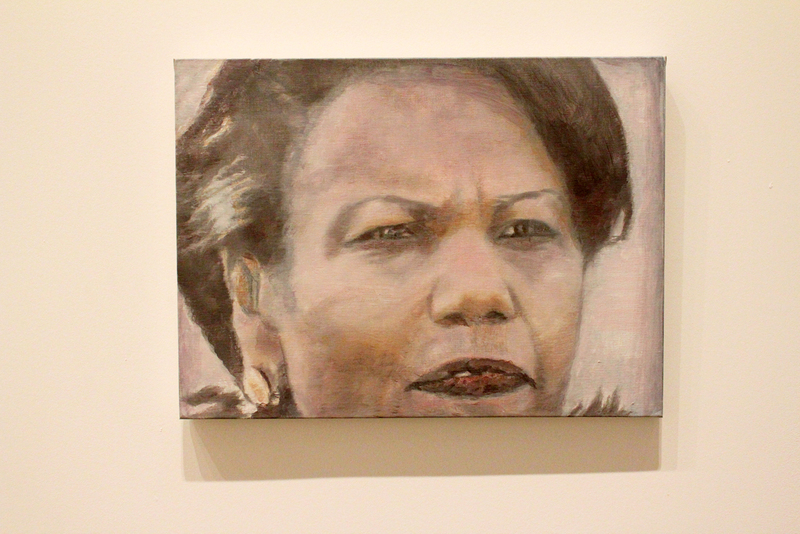 Portrait of Condoleezza Rice: “The Secretary of State,” 2005 (oil on canvas) by Lucy Tuymans on view at MoMA, July 2012. 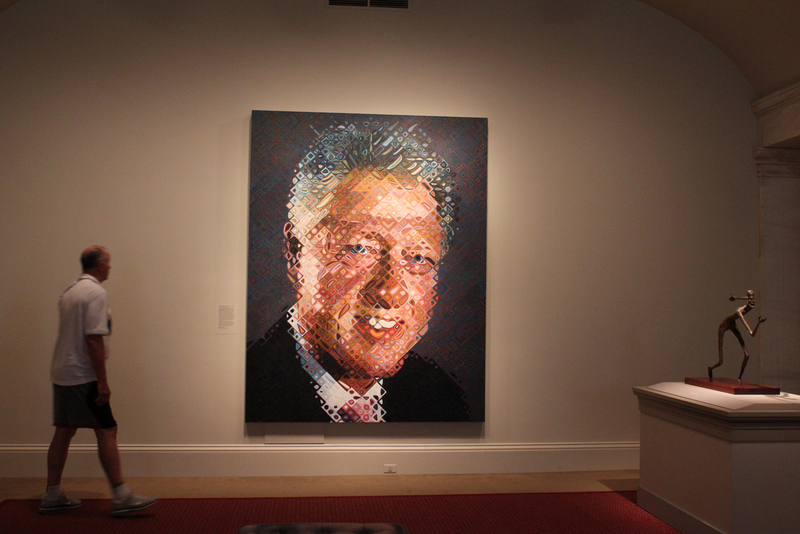 William Jefferson Clinton, 2006 (oil on canvas) by Chuck Close at the Smithsonian’s National Portrait Gallery, with George H.W. Bush as a horseshoe player, 1989 (bronze) by Pat Oliphant, at right. Bill Clinton, 1996 (charcoal on paper) by R.B. 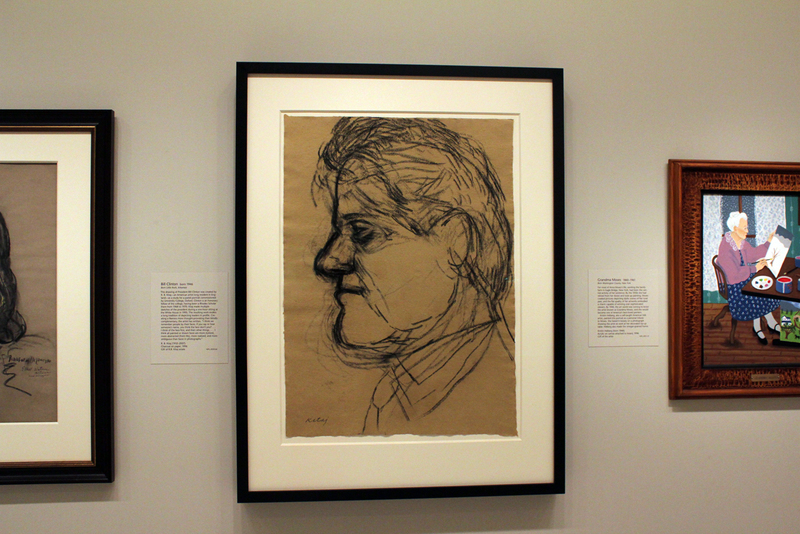 Kitaj, on view at the Smithsonian’s National Portrait Gallery, new acquisitions corridor, July 2012. 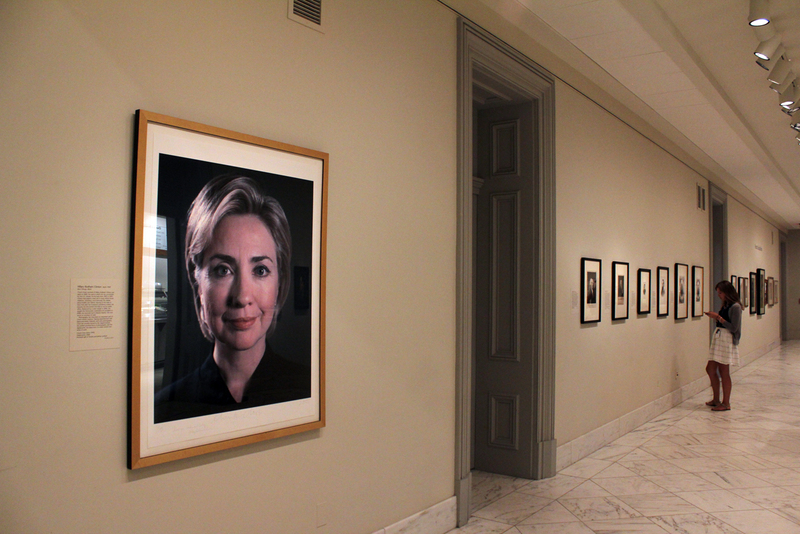 Hillary Rodham Clinton, 2000 (digital print) by Chuck Close, on view at the Smithsonian’s National Portrait Gallery, new acquisitions corridor, July 2012. 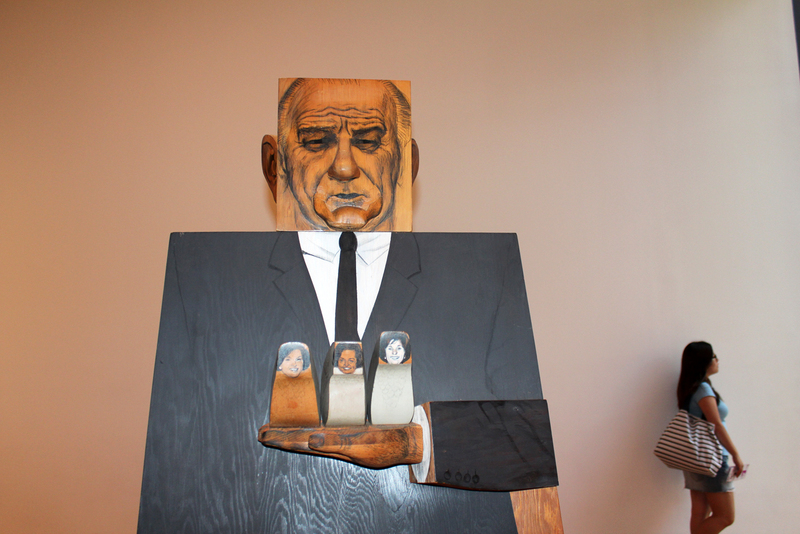 Detail of “LBJ” by Marisol Escobar at MoMA. President Barack Obama from “Obama’s People” a series of 52 photographs by Nadav Kander taken for a January 2009 special issue of the New York Times Magazine. The images were exhibited in the New York Times Building in May 2009.